The StrainÂ finally gives us an hour of Vasiliy Fet, our favorite exterminator. Creatures of the Night is highlighted by a sensational cameo from Rick Baker in all his ponytail glory. 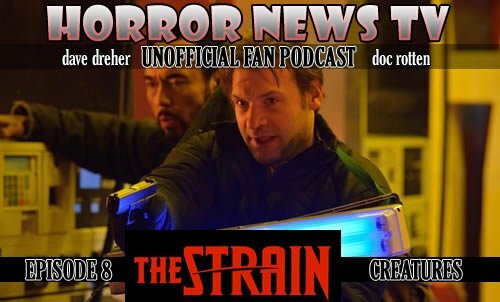 This episode also puts a final resolution to Jim’s story-line with a shocking decision from Mr. Fet.Â Â Doc and Dave have lots to discuss as the recap episode 8Â ofÂ The Strain.